Each year, we have our Club Championship awards. We have two separate trophies that are awarded, the Men's Champion and the Ladies' Champion. They are determined by your aggregate best times run during the calendar year at three distances - Half Marathon, 10 Miles and 10K. Simple! We produce a ranking for all members of the club who have done the three distances, and there are trophies awarded to the top three men and top three ladies. We also have two other annual trophies - Roland's Trophy for the best age-related performance of the year, and the Peter Dimmock Trophy for the club's most improved runner. 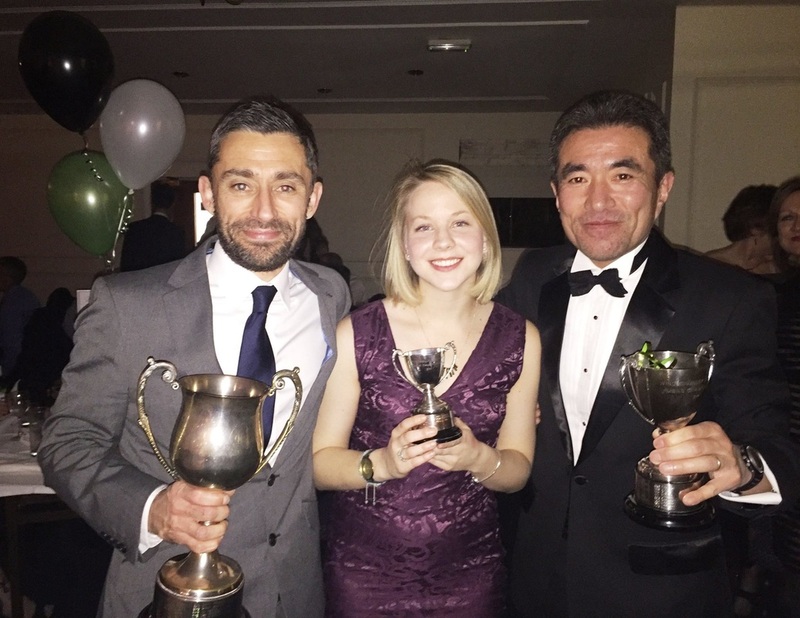 The trophies are awarded at our annual Awards Dinner/Dance, which is held in January at Chobham Golf Club. Your invitation will be sent to you during December. This is the highlight of the social calendar! The speeches are kept to a minimum to allow maximum time for dancing, so your partner will enjoy the event as well. Good racing and good luck!